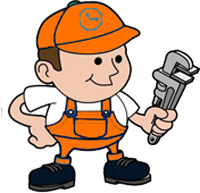 Home → Handy Hints → Gas Plumber Melbourne: Taking Care of Your Gas Related Issues. Gas Plumber Melbourne: Taking Care of Your Gas Related Issues. Gas is an extremely useful fuel to utilize at home instead of using electricity for all your appliances. A lot of accidents may occur due to gas-related issues. To avoid such issues, you are required to take safety measures and it is advisable to have a gas plumber Melbourne at your beck and call. Gas plumber Melbourne can be secure and reliable provided they are professionals. Gas plumber Melbourne are licensed and experienced in all fields of commercial and domestic gas fitting repairs and replacements. You are assured of a safe and professional job with a Gas plumber Melbourne. As a consumer, you need to get advised by a gas plumber expert on safety measures and how to maintain gas appliances. Gas plumber Melbourne will advise you on safety aspects of installing and maintaining gas appliances. You will be enlightened on regulations to take to ensure your personal safety. Gas plumber Melbourne are dedicated to your security and wellbeing of your household. Their services are exceptional and in compliance with the latest safety regulations. To meet all your gas fitting requirements, they are equipped with the latest safety equipment available. Safety services offered by a Gas plumber Melbourne. Gas can be the most dangerous thing in your home if not well taken care of. Leaking gas is dangerous and fire hazardous. With gas leaks both your life and your whole household is in danger. Gas plumber Melbourne are there to assist you with your safety pertaining to issues of gas. Risks associated with gas may arise due to improper gas installations. This may cause gas leaks. Gas leaks can be identified easily or may take time. If you smell gas, your immediate reaction should be to call a gas plumber Melbourne. In other instances, you might have a gas leak but fail to notice it. This needs you to keep track of your bills. Unusually high bills indicate that there is a possibility of a gas leak. Gas plumber Melbourne will help you identify such unnoticeable gas leaks. Another sign that will show that you need a gas plumber is the flame colour from your cooking appliances. A safe burning gas flame is usually blue while a yellow flame. Gas fitting specialists are there to address such issues. Just a call is enough to get you speaking to a gas plumber Melbourne as soon as possible and get an immediate appointment. Apart from fixing your gas related problems, you can get advice on how to correctly handle your gas appliances in your home. Different services a Gas plumber Melbourne offers. So, when you have a gas problem in your home or business call the gas plumbing experts – Melbourne 24 Hour Plumbing – Phone 1300 931 384 Any time day or night.